Many people do not realize white collar crime investigations begin with simple questions, often delivered by IRS, FBI, or other federal agents. The agent may even appear quite friendly, giving no clue that interrogation is underway. Typically an investigation on insider trading, tax evasion, or other white collar crime may drag on for a year or longer before a grand jury is convened. If there is any clue you are being investigated, it is time to contact a lawyer immediately. Your first few seconds of response in a criminal investigation can be very damaging moments. "Anything you say can and will be used against you in a court of law," extends well beyond the Miranda warning given during arrest. Even when you believe you are being questioned--just as a witness--it is wise to have an attorney present. All too frequently, witnesses turn into targets during police or federal investigations. An experienced white collar criminal defense lawyer can advise and interact with authorities on your behalf regarding criminal law matters such as computer internet fraud, identity theft, forgery, bank and wire fraud, deceptive practices, and embezzlement. When stepping into the criminal justice system, you enter an intimidating maze of laws and procedures. A wrong move results in repercussions. No matter how great your social or communication skills, you are not equipped to play the legal game. The Fifth Amendment right to silence is the safest route to protect your rights, followed by quickly retaining a competent criminal defense lawyer. Even when taking the witness stand, following your lawyer's instructions closely is crucial for the outcome of your case. If you are being investigated or have been charged with white collar crime, do not delay in seeking legal representation. 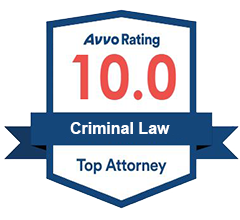 Our criminal defense lawyers at Mevorah Law Offices LLC have decades of experience and can provide strong advocacy. Arrange a free consultation to discuss your white collar crime matter today. 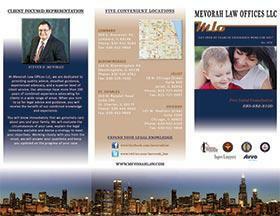 Call our law firm at 630-932-9100630-932-9100 or contact us online. We assist clients throughout DuPage County and Northern Illinois from our offices in Lombard, Bloomingdale, St. Charles, Joliet and downtown Chicago.